Born and raised in Alice Springs, Mossy started playing guitar in local teenage bands but moved to Adelaide after failing one of his high school years, planning to repeat in the big city. Fate intervened when he answered an advertisement for a guitarist in a shop window in 1973, joining the band that was to become a legend in Australia – Cold Chisel. After Moss joined organist and principal songwriter Don Walker and drummer Steve Prestwich, the group took shape with singer Jimmy Barnes and later bass player Phil Small, starting the hard grind of playing gigs on the back of flatbed trucks and in suburban hotels. Barnes remembered young Mossy as “a boy from the bush who didn’t wear shoes but played fantastic”. They hit the road and paid their dues, playing countless one-night stands across the country. The reputation and status of Cold Chisel steadily grew, mainly on the strength of blistering live shows, and in time their well-crafted recordings became staples of radio airplay. 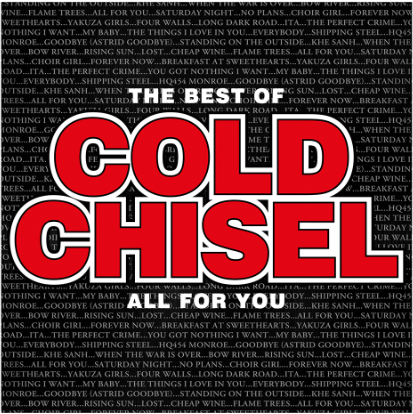 By 1980, with the release of the seminal East album, Cold Chisel was the biggest band in the country. 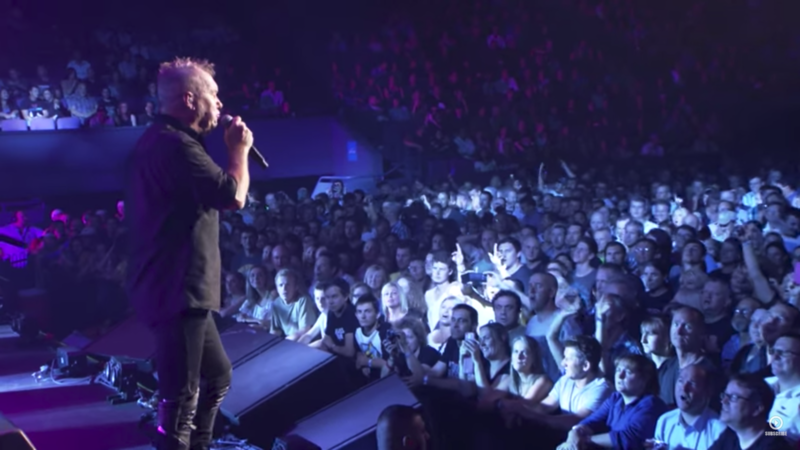 Moss’s voice began to shine through such seminal Cold Chisel songs as Never Before, Bow River (written by Moss) and a gorgeous rendition of Ray Charles’ Georgia. Enjoying the status of Australia’s best guitarist, after Cold Chisel break-up in 83/84, Moss carefully evolved into a solo artist of the same calibre and commanding the same respect as Cold Chisel. After five years of patient nurturing, Moss released his debut single Tucker’s Daughter in January 1989, and caused an immediate sensation. The anthemic song – which Moss wrote in collaboration with Don Walker – sat in the Top 10 for 11 weeks and hit No 1 for two weeks, achieving gold sales status after 15 weeks and selling more than 80,000 copies. Moss’s second solo single, Telephone Booth, was released in June that year, hit the Top 10 and remained in the Top 20 for 10 weeks. The setting had been established for Moss to emerge as an important solo artist. His debut album Matchbook, released in August 1989, entered the charts at No 1 and remained there for three consecutive weeks. It stayed in the Top 10 for 14 weeks and has sold more than 200,000 copies. Moss closed off a triumphant year by winning five Australian Record Industry Association Awards in 1989: Best Australian Debut Single for Tucker’s Daughter and Best Australian Debut Album forMatchbook, Australian Song of the Year for Tucker’s Daughter, Best Australian Album for Matchbookand Best Australian Male Artist. The Cold Chisel reunion in 1998 – both in the studio for the recording of new material and subsequent touring to promote the resulting Last Wave of Summer album – put Ian back in the national spotlight as a showman and musician of dazzling ability. It reminded the Australian public of Moss’s alluring talent and diversity as a performer, as did another Cold Chisel reunion tour in 2003 and his input to Jimmy Barnes’ Double Happiness album of duets in 2005. Heartened by success for that album, a second chapter of Moss’s acoustic recordings – his sixth solo album Let’s All Get Together, released in 2007 – saw the input of guests including James Morrison and Margaret Urlich adding colour to striking new interpretations of familiar songs, including Flame Treesand Choir Girl. To support the album release, Moss undertook an extensive tour with former Noiseworks and INXS singer Jon Stevens, and further touring in early 2008 showed Moss to be an especially dextrous musical stylist; not just a rock player, not just an acoustic strummer, but a truly seasoned and rounded musical talent. Mossy is now allowing his guitar work to take a back seat while he concentrates on singing – which is the focus of his new album Soul on West 53rd thatfeatures fresh takes on classic soul songs from the likes of Sam Cooke, Al Green, Otis Redding and Levi Stubbs. This product of New York recording sessions with producer Danny Kortchmar and an all-star band of soul session musicians, including drummer Steve Jordan, Leon Pendarvis on keyboards, Neil Jason on bass and Hugh McCracken on guitar, is another bold venture from Moss that has turned heads. When audiences hear the power and excitement on Soul on West 53rd, it reinforces what Ian Moss has to offer as a vocalist of repute.